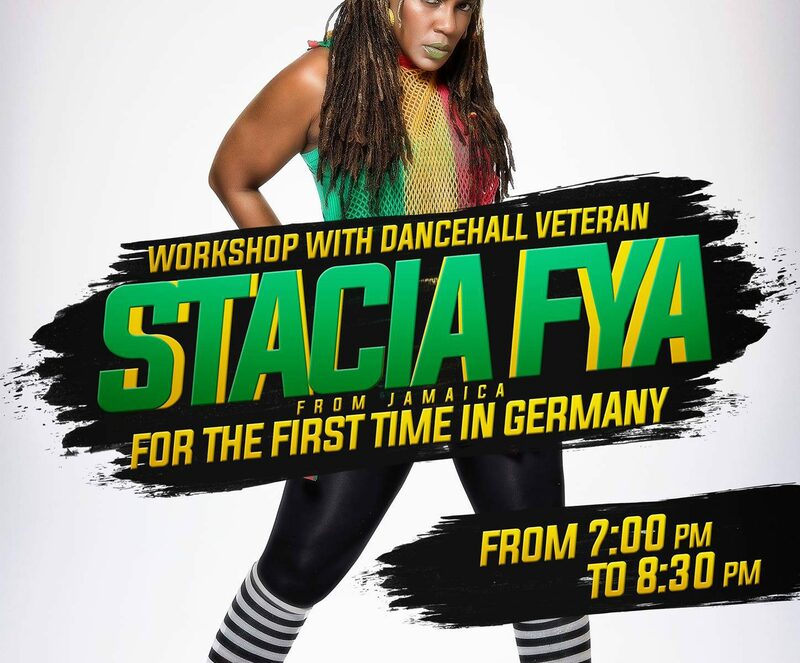 For the first time in Germany, Dancehall Veteran STACIA FYA from JAMAICA visits motion*s for a unique Dancehall workshop in Berlin. The workshop starts directly after Swaggi Maggi’s regular Dancehall Class. Dynamite competition in 2006. This multitalented virtuoso is blessed with the ability to dance, act, sing, choreograph, teach, model, and is a gifted fashion designer. Beenie Man, Bounty Killer, Sizzla, Taurus Riley, Capleton, Red Rat, Mr. Lexx, Barbee, Dean Frazier, Hezron, Carol Gonzales, Cecile, Spice, Red Foxx, Lady Saw, Macka Diamond, Krishane, Melissa Steel, Daville, Gyptian, Lady G, Nature and International artistes like, Sean Kingston, Nicki Minaj, Mya, Shaggy, T.O.K., Phillipidon. One of her most memorable tour experience was traveling to Dakar, Senegal with Patra as her back up dancer in 1999. In her Dance Lessons, she focuses on the technique of steps within the Reggae / Dancehall genre and she has developed her very own concept called “Confidence Dancehall©” to empower mainly female dancers.